In this series on Social Media in Youth Ministry we’ve been looking at social media in youth ministry in general and we’ve discussed several social media in particular, such as Twitter, Facebook and LinkedIn. Today we want to give you some advice on making a social media plan for your youth ministry. Make sure you’ve really worked out an answer to this question. 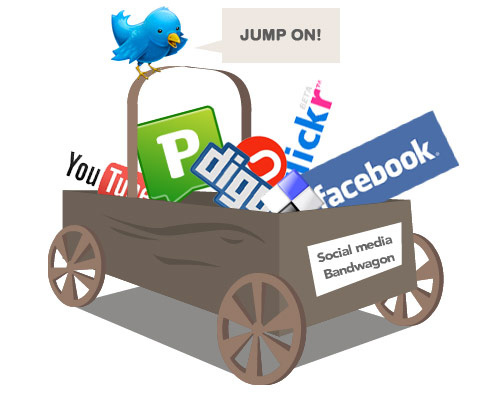 Before jumping on the ‘social media bandwagon’ you’ll need to understand what social media are and how they function. And you’ll need to figure out why you or your youth ministry want to create a social media presence and be purposeful about it. ‘Because everyone else is doing it’ isn’t a good enough reason. Don’t proceed until the ‘why’ is crystal clear to you! Do you want to connect with students, parents, or the leaders on your team? Each of these groups may require a different strategy. Don’t try to reach them all with just one thing, it usually doesn’t work. Which social media do they use? Facebook will be a good bet for all three, but maybe Twitter will work better for your youth leaders and parents. Maybe you’ll need to use Tumblr for your youth. Take some time to find out which social media each of these groups is using. The goal determines which medium you should use. What do you want to accomplish for each group you target? Do you want to inform? Support? Entertain? Increase attendance? Attract new volunteers? Get more parents involved? Determine what you want to accomplish for each group and then pick the right (social) medium to reach that goal. Social media should be used for a conversation, not for one-way communication. If you want to just inform parents, a newsletter could work just as well for instance. But if your goal is to enter into a dialogue with parents so you can support them, you’ll need something else, like a Facebook group for instance. Who will execute your social media plan? While most social media are free, the design may costs you some. But even when you’re able to create it all fro free, social media will take up time. How much time do you have available? And the people who are willing to help you? Your choices should fit into the budgeted time. If you don’t have the time to do Twitter, Facebook and Tumblr, that’s fine. Just set a priority based on numbers (which group is the most important to reach and which social medium do they use). It’s better to do one thing right, then three half-heartedly. If you want parents, youth or youth leaders to come to whatever you’re offering, you have to give them a reason to do so. Why should they want to visit your page, become a member of your group or follow you on Twitter (and then actually read your tweets!)? Give them a reason to come and to come back. What can you offer them? What has value to them? What do they need, want, like? This should result in a fairly specific plan for what you will offer on each social medium. We’ll dig deeper into this in a next post. If you’ve thought this all out (and preferably put it on paper), start executing your social media plan. It’s crucial in this phase to communicate the ‘why’ of what you’re doing. Everyone involved in your social media plan should not only understand why you’re doing this, but enthusiastically support it. Don’t forget that social media evolve quickly. Look at all the changes Facebook is making right now. I wrote two posts on Facebook last week and I’ll probably need to update these! That’s why you need to stay on top of any chances in the social medium you use to see of they affect your strategy and if you need to make chances. Do you have a social media plan for your youth ministry? How did you determine priorities?